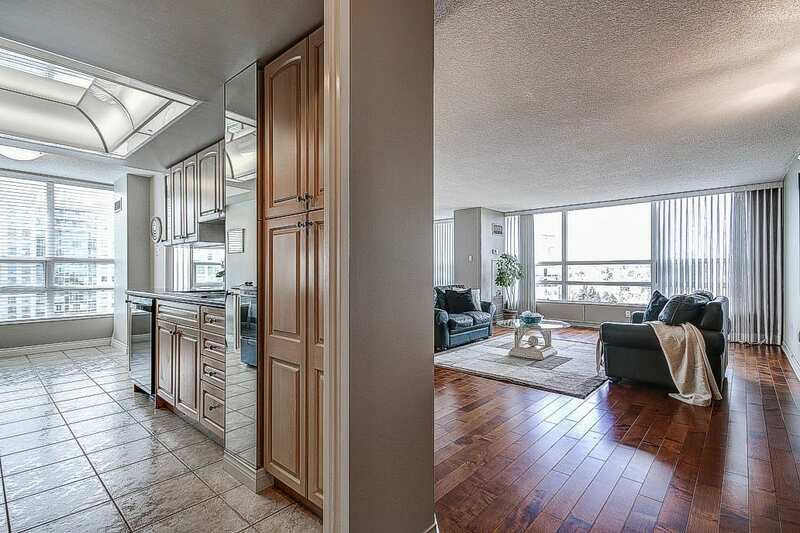 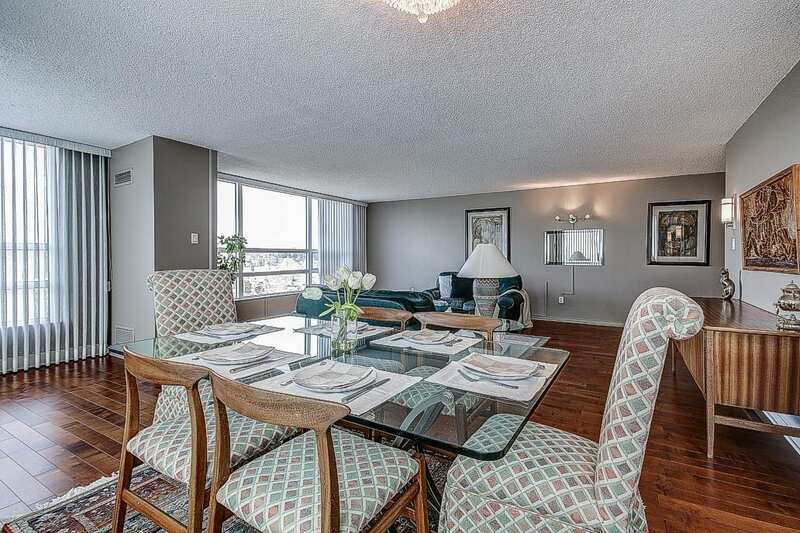 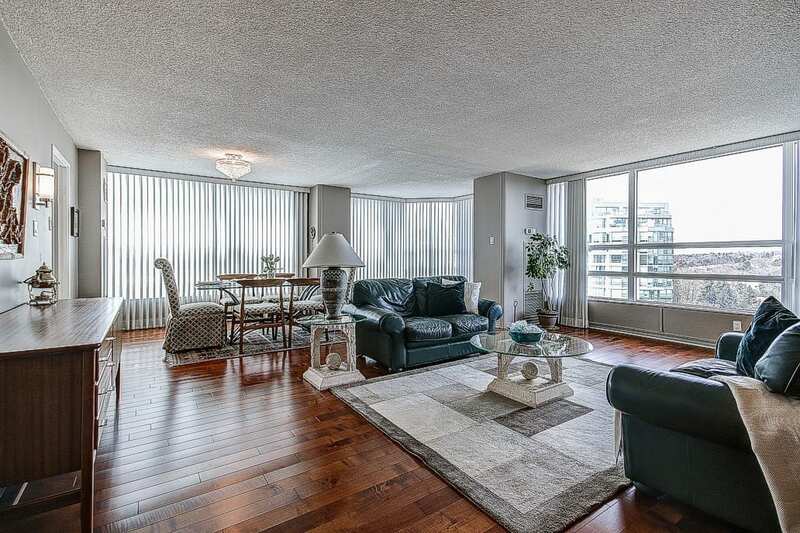 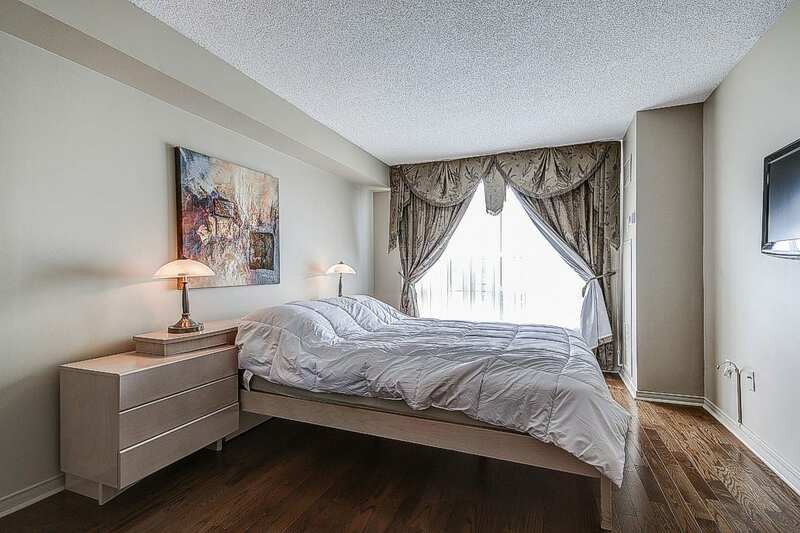 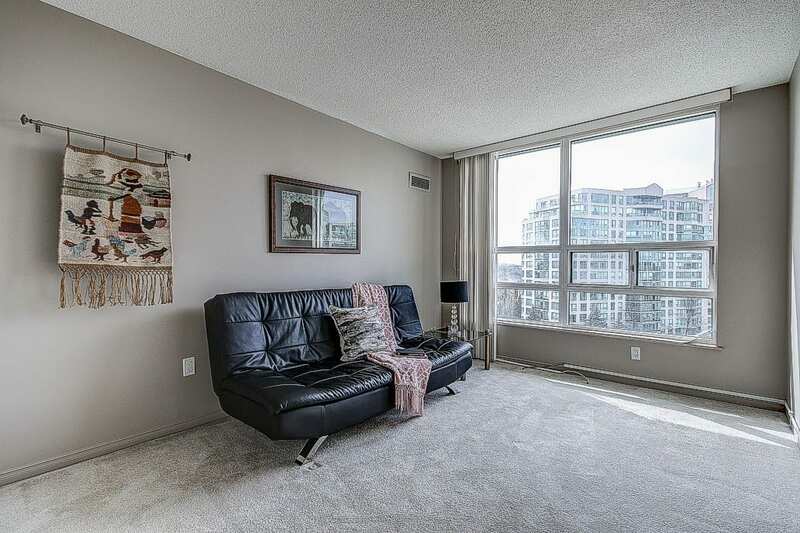 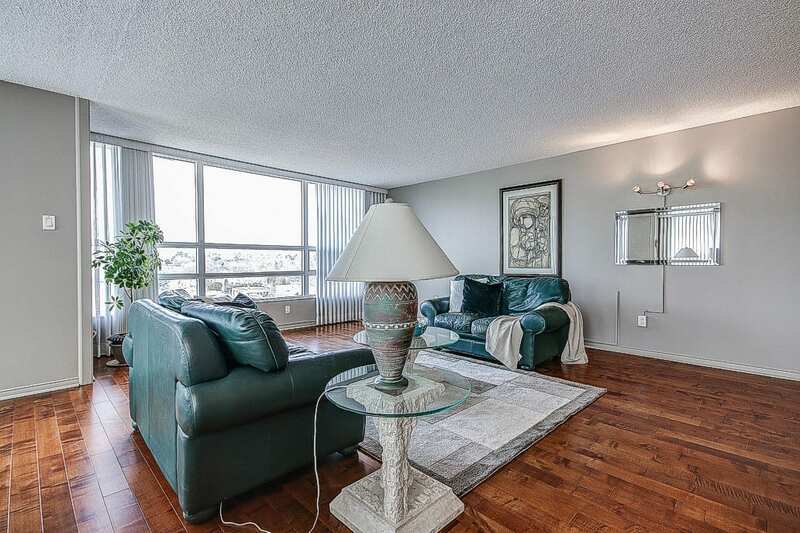 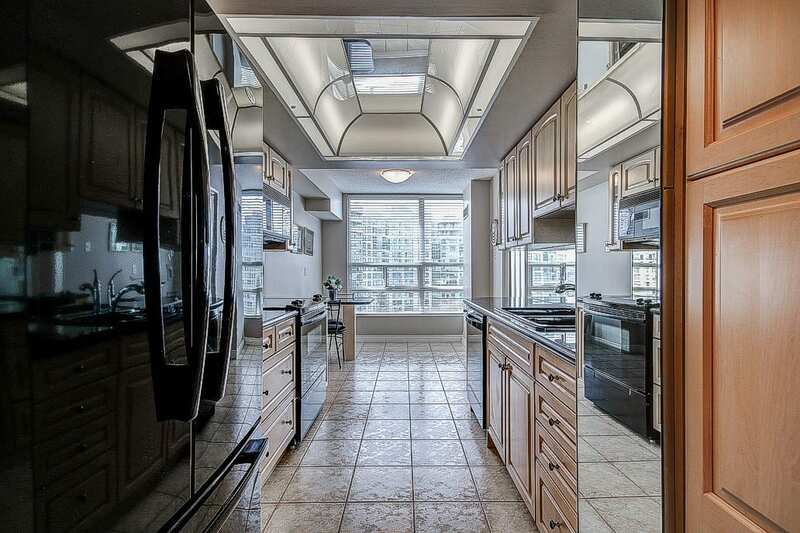 This spacious 1613 sq/ft corner suite boasts sunny N/W views of city in the popular Landmark Condos. 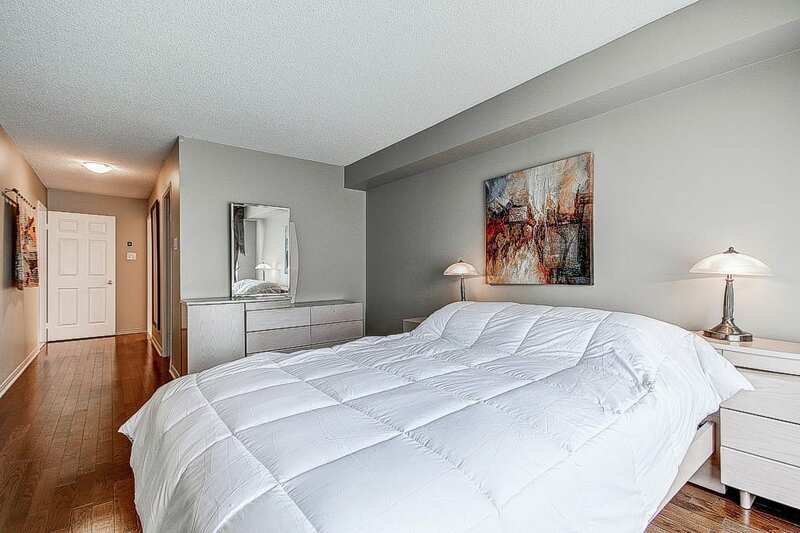 With 2 spacious bedrooms, 2 renovated bathrooms, generous living space and updated finishes, you’ll enjoy a perfect setting for relaxing and entertaining. 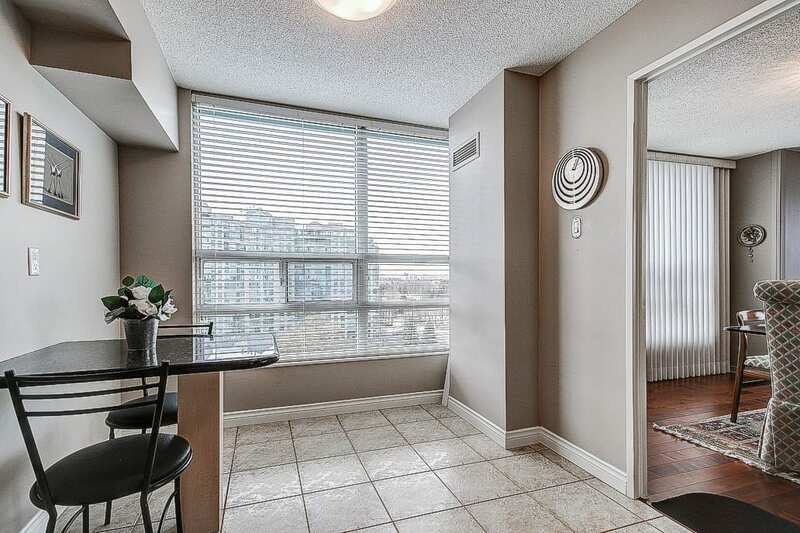 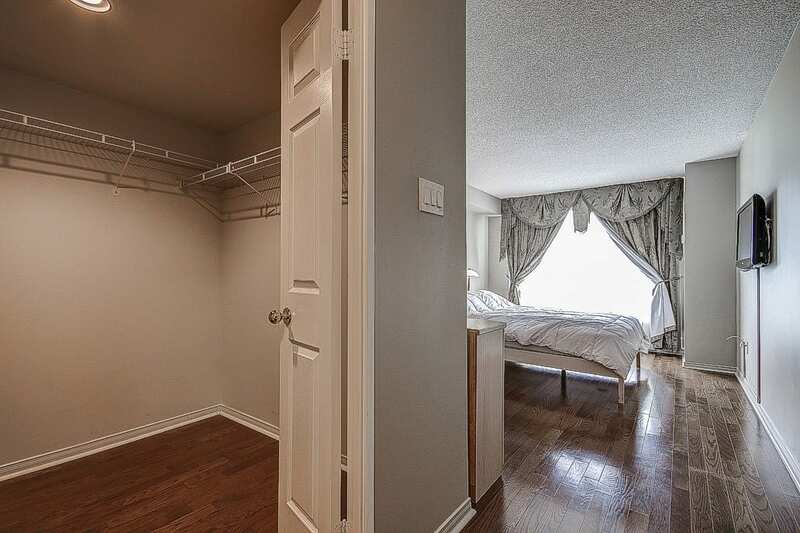 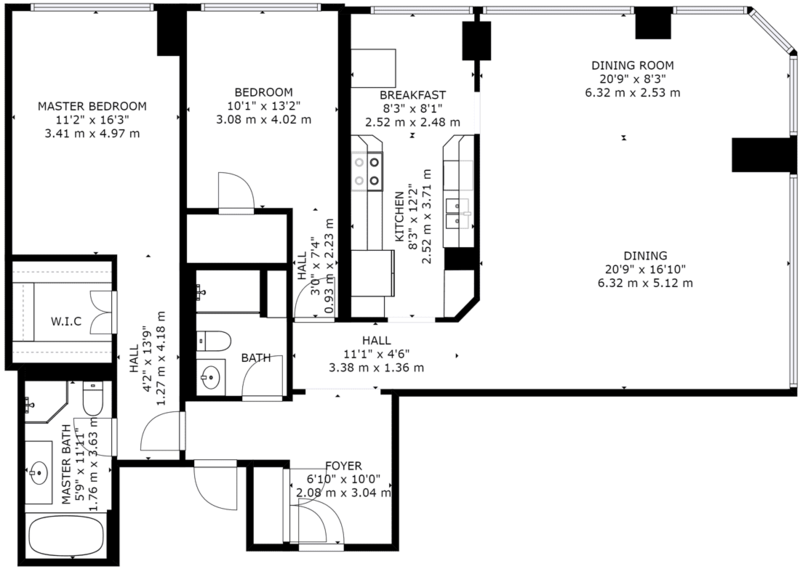 Plenty of natural light flows throughout the unit’s open, airy layout. 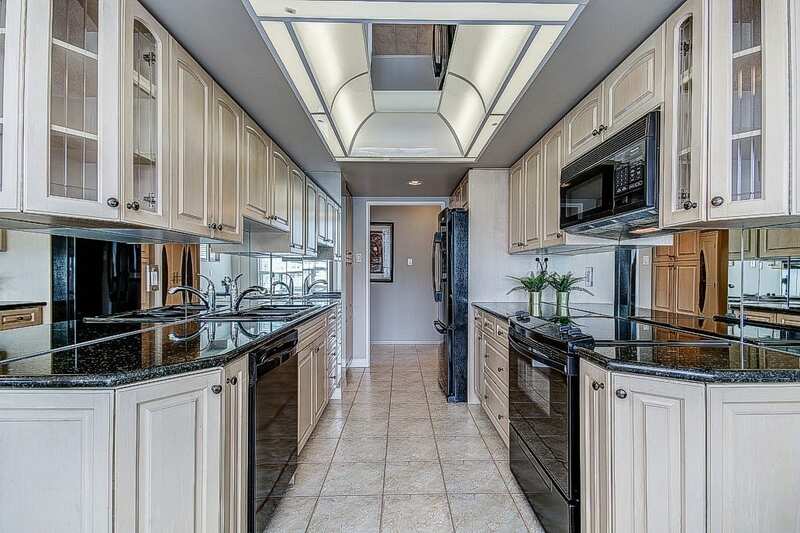 Highlights include an updated family-sized galley kitchen, spacious living/dining room, huge windows and closets and tons of storage space. 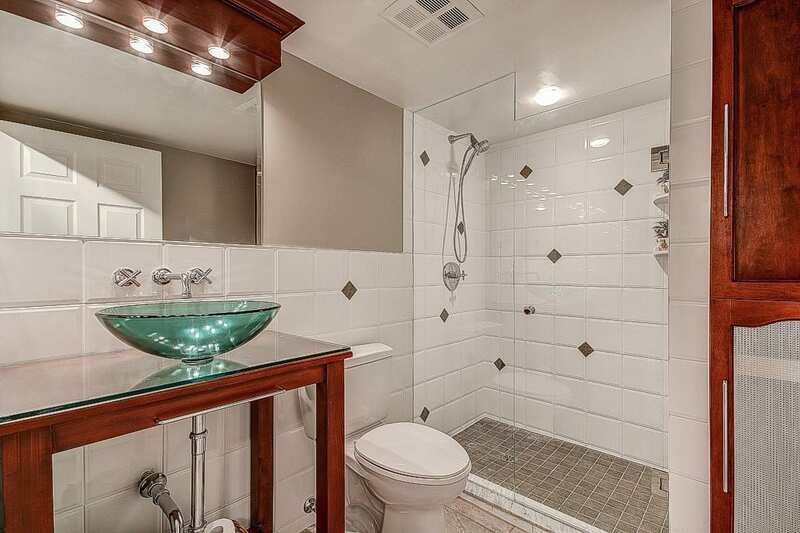 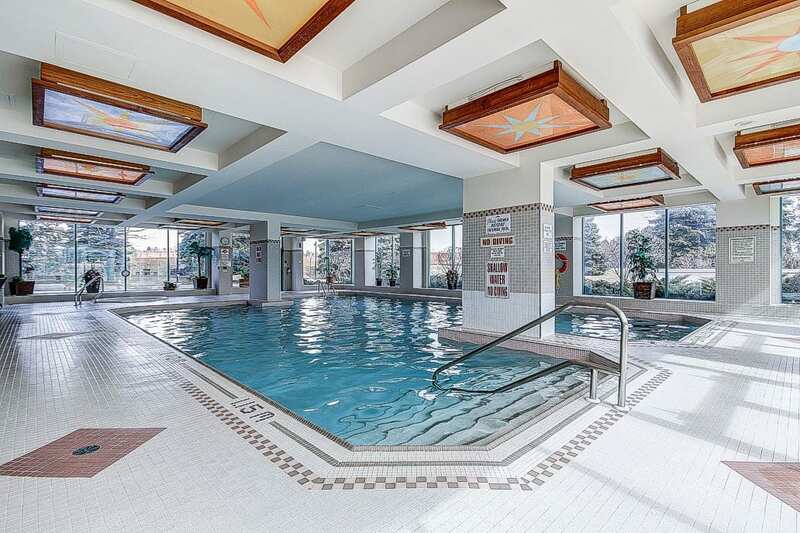 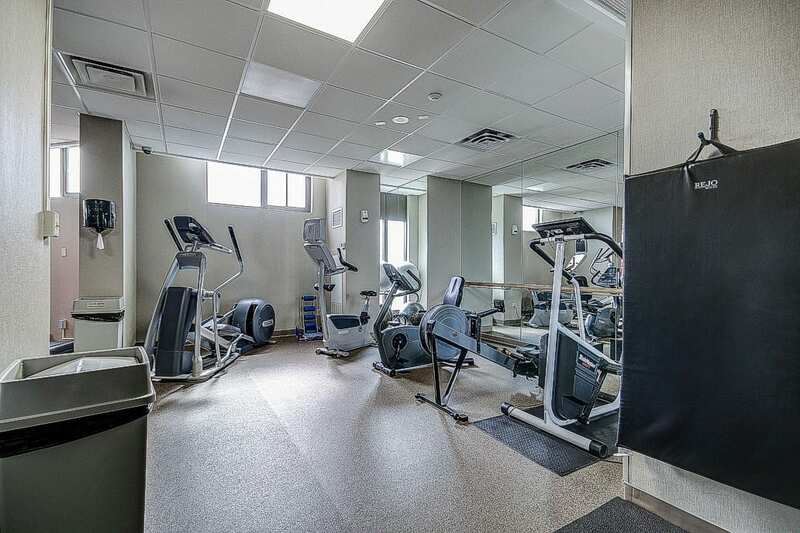 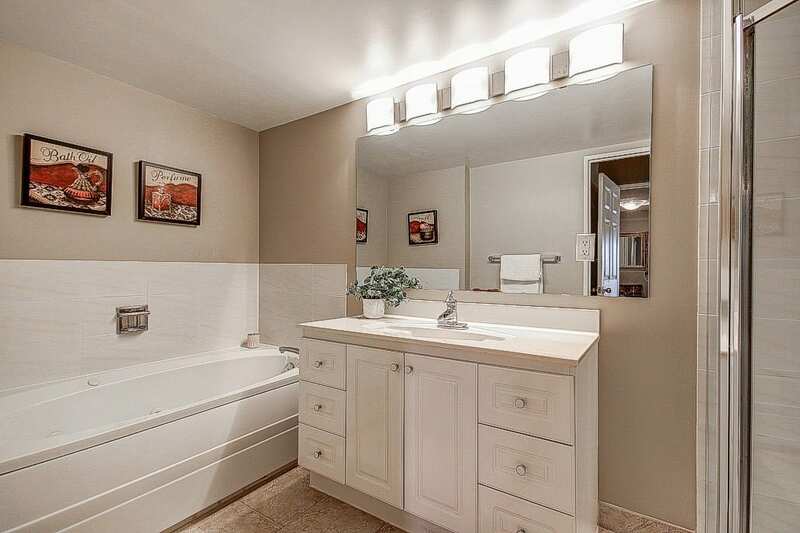 Other highlights include updated light fixtures, freshly painted throughout, hardwood floors, granite countertops, 1 locker and 2 underground parking spots, fabulous 5-star amenities including 24hr security, indoor pool and jacuzzi, gym, sauna, visitor parking. 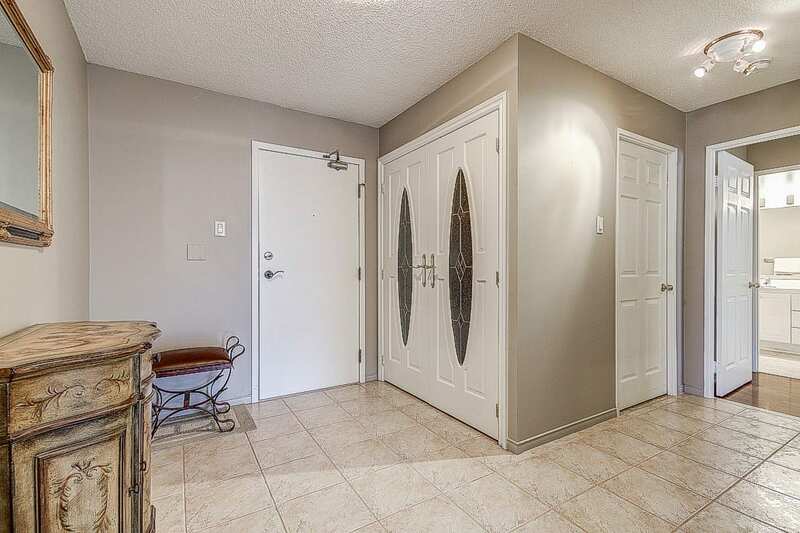 Conveniently located only minutes to Thornhill Square Shopping Centre, Thornhill Community Centre, restaurants, cafes, parks, transit and more. 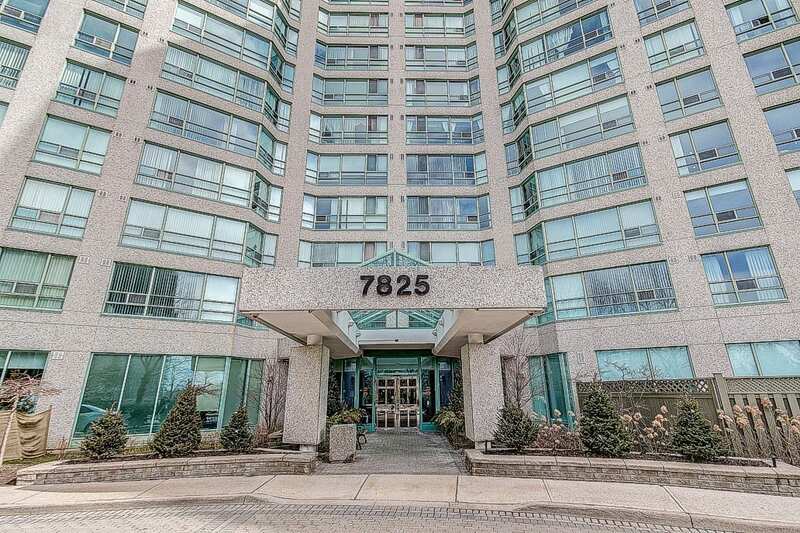 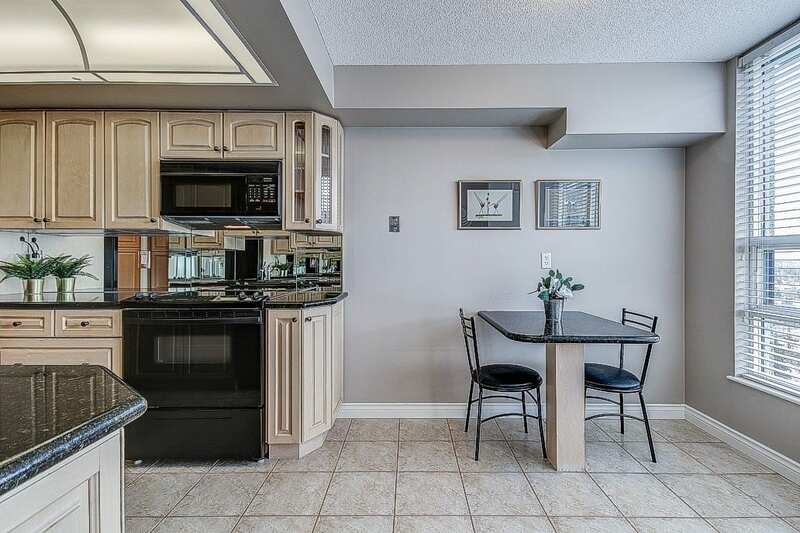 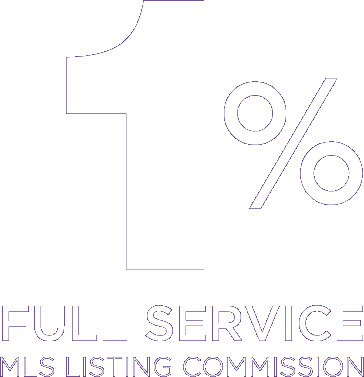 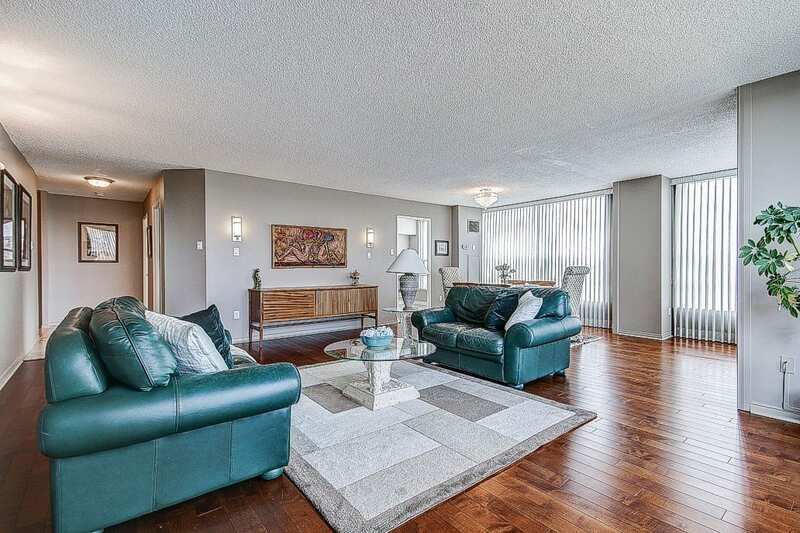 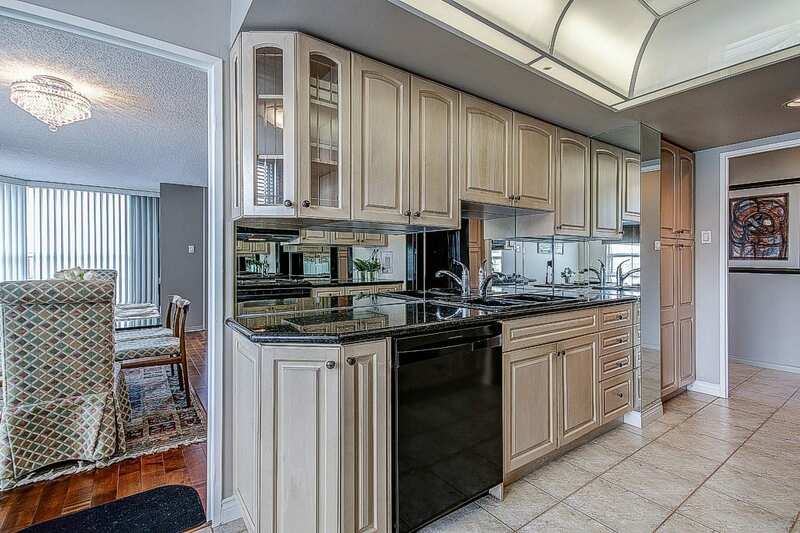 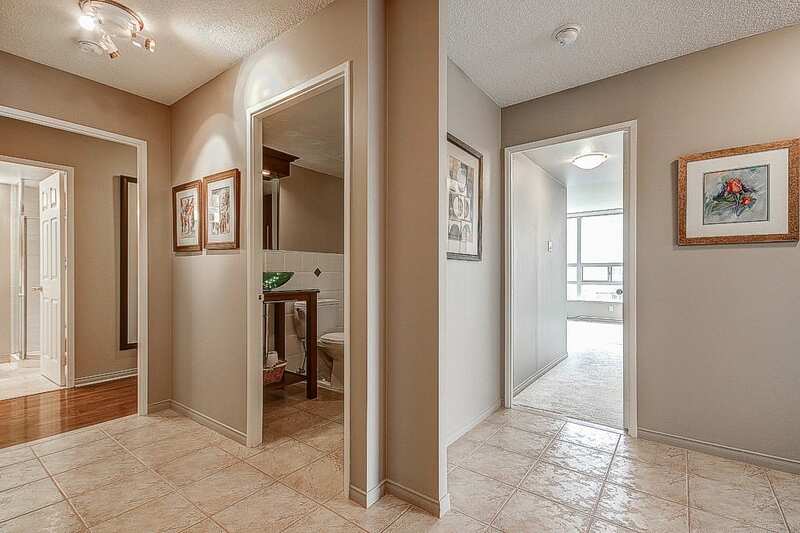 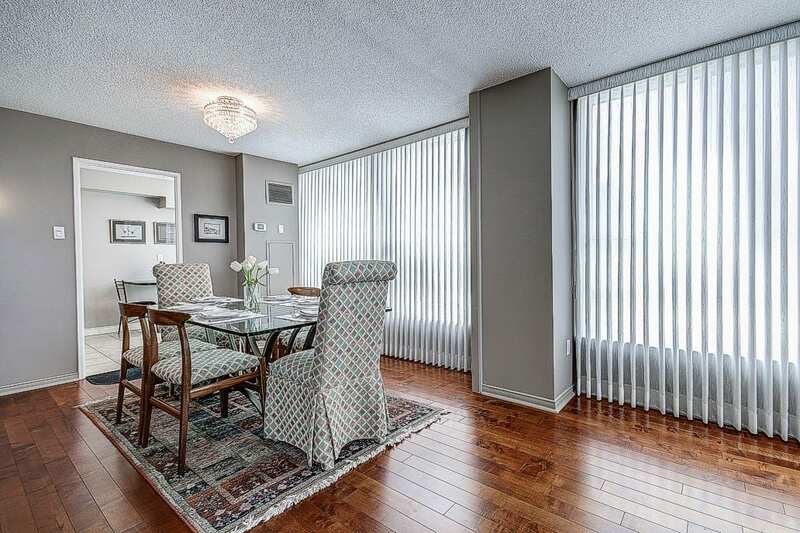 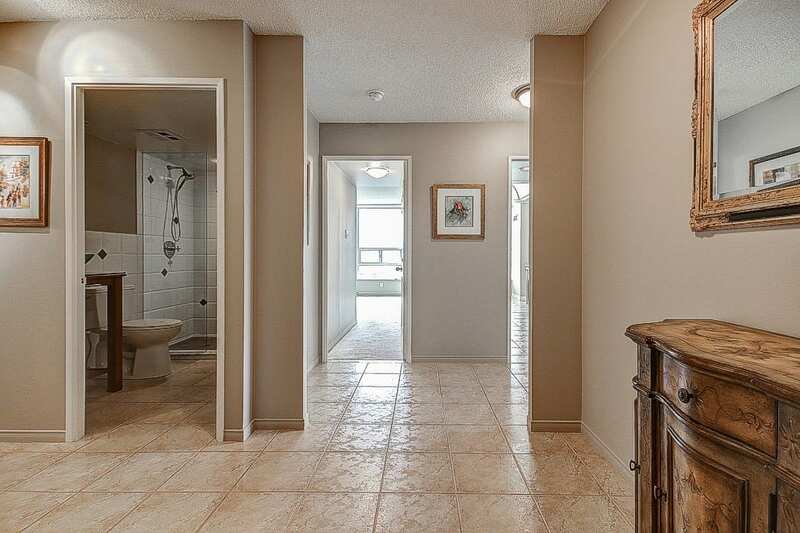 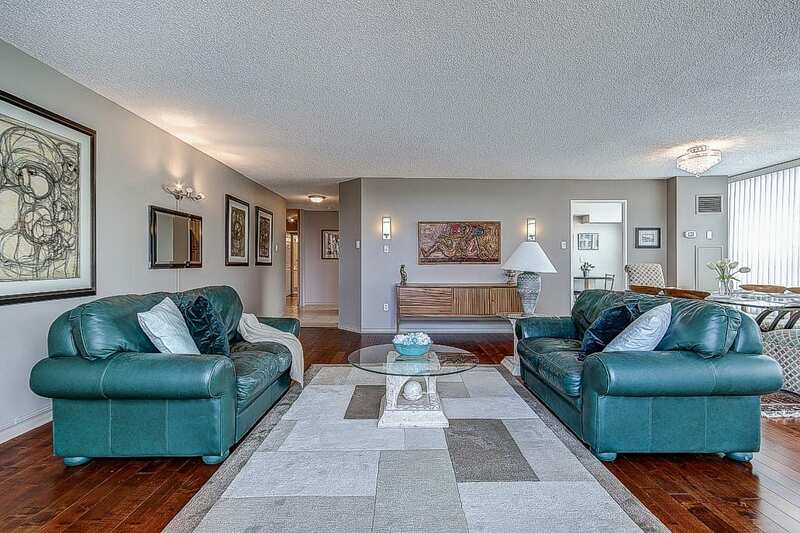 Don’t miss out on the opportunity live in the popular Landmark Condos in beautiful Thornhill.